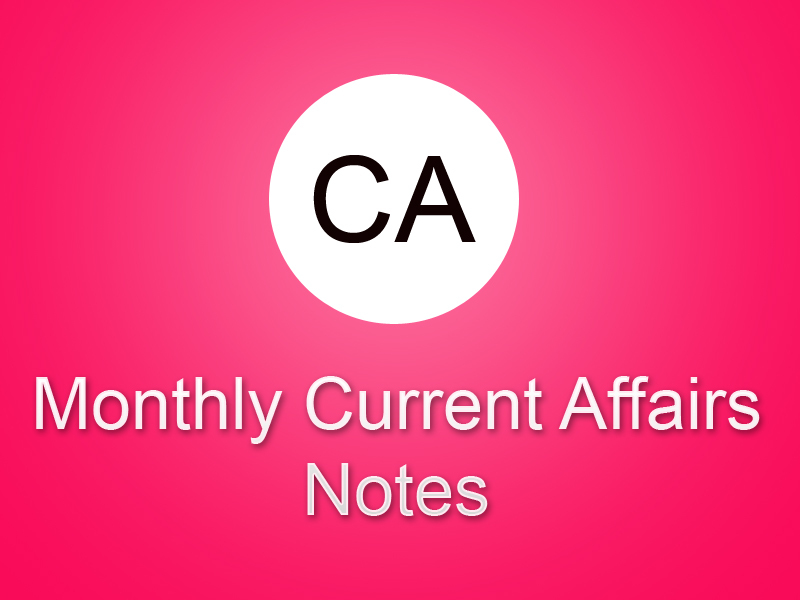 Monthly Current Affairs Notes- April 2019 in Hindi, मासिक करेंट अफेयर्स नोट्स- अप्रैल 2019, Current Affairs April 2019 in Hindi. Monthly Current Affairs Notes- March 2019 in Hindi, मासिक करेंट अफेयर्स नोट्स- मार्च 2019, Current Affairs March 2019 in Hindi. Monthly Current Affairs Notes- February 2019 in Hindi, मासिक करेंट अफेयर्स नोट्स- फरवरी 2019, Current Affairs February 2019 in Hindi. Monthly Current Affairs Notes- January 2019 in Hindi, मासिक करेंट अफेयर्स नोट्स- जनवरी 2019, Current Affairs January 2019 in Hindi. Monthly Current Affairs Notes- December 2018 in Hindi, मासिक करेंट अफेयर्स नोट्स- दिसम्बर 2018, Current Affairs December 2018 in Hindi. Monthly Current Affairs Notes- November 2018 in Hindi, मासिक करेंट अफेयर्स नोट्स- नवम्बर 2018, Current Affairs November 2018 in Hindi. Monthly Current Affairs Notes- October 2018 in Hindi, मासिक करेंट अफेयर्स नोट्स- अक्टूबर 2018, Current Affairs October 2018 in Hindi. Monthly Current Affairs Notes- September 2018 in Hindi, मासिक करेंट अफेयर्स नोट्स- सितंबर 2018, Current Affairs September 2018 in Hindi. Monthly Current Affairs Notes- August 2018 in Hindi, मासिक करेंट अफेयर्स नोट्स- अगस्त 2018, Current Affairs August 2018 in Hindi. Monthly Current Affairs Notes- July 2018 in Hindi, मासिक करेंट अफेयर्स नोट्स- जुलाई 2018, Current Affairs July 2018 in Hindi.